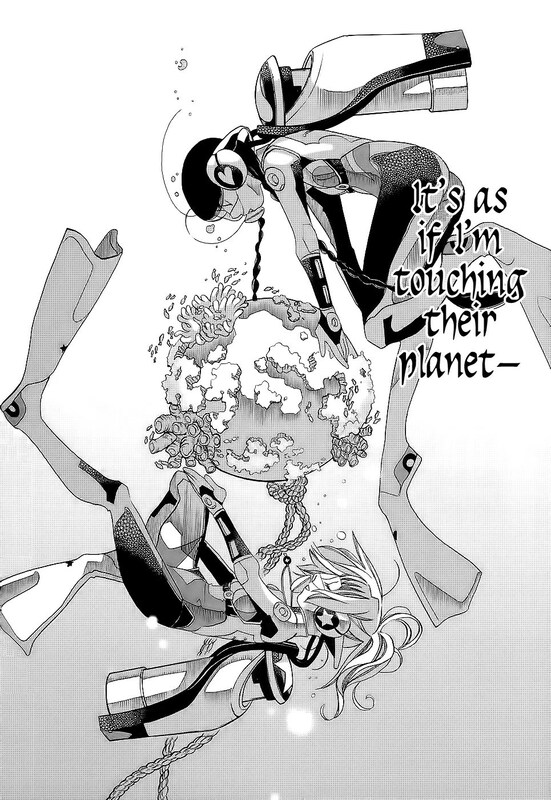 Synopsis: Kohinata Hikari and Ooki Futaba have together found joy in many things through scuba diving and the most everyday of events. Hikari was born and brought up in a small oceanside town on Izu, and Futaba moved there from Tokyo, but the two polar opposites met at Yumegaoka High and instantly hit it off. The always-reserved Futaba found her perfect foil in the cheery and optimistic Hikari, and their friendship gave her the courage to take the first step and experience many of the smaller joys in life. She also took the Open Water Diver exam and passed, and now she has her sights set on the Advanced Open Water Diver certification. The first season of Amanchu! turned out to be a surprisingly entertaining story about two girls who form a strong friendship while picking up scuba diving, and contrary to what that synopsis might lead you to believe, this season isn’t as fixated on scuba diving as the first season was. Only about six of the twelve episodes feature diving, but at least there’s still that friendship between Pikari and Teko, and that’s always been the real focus of the story, at least for us yuri fans. In the third quarter of the season, a three-episode-long arc begins that I didn’t really enjoy much. Telling the story of a mysterious boy named Peter, I was surprised to see Pikari and Teko take a backseat to Ai. Over the first season and a half, Ai and her brother were mostly relegated to occasionally helping out the main duo with their scuba endeavors, but for this stretch, she’s the star of the show. It wasn’t the story being told or Ai herself that I had a problem with, it was the fact that this didn’t feel like the same Amanchu! that I enjoyed two years ago. If this Peter arc had been an OVA or special, I think this would’ve been pretty nice and I wouldn’t have had any issues with it at all, but three entire episodes? I think that’s just way too long to focus on something that’s so different from what we’ve come to know and like about the series. What’s worse is that Pikari and Teko only play minor roles during this arc, so for those of us who started watching this just to see the two of them together, it’s very disappointing. As for the characters, there are only three new additions to the cast this season, so not too much has changed in this area. Our two favorite divers are still making all sorts of fun memories together—in and out of the water—and the dynamic of their relationship is as enjoyable as ever. Between the cute, introverted one and the cute, outgoing one, it feels like the cuteness overload from the first season never left. I think these two were at their best when they were together, and those moments when they were apart really highlighted that fact for me. On their own, they’re fine enough, but that chemistry is so good that I’m glad that we often still see them share the spotlight. And then there’s Kokoro. I wouldn’t go as far as to say that his presence hurt the show, but I certainly don’t think it helped. His tsundere act wasn’t cute, and the love triangle-of-sorts that emerged between him, Pikari, and Teko was something that I’m sure no one asked for. If I had known that he was a boy earlier, I probably would have disliked him more, so I just think he was a completely unnecessary addition that I honestly could’ve done without. Season one saw our two stars spend a lot of time together at the forefront, so the subtext was expectedly pretty high. When they’re together, season two still sees plenty of subtext involved, but I wouldn’t say it’s quite as much as the first season. Once again, they express their love for one another, and late in the season, Teko even gets another female admirer, but it’s all about her and Pikari, and their cute moments together can’t help but leaving you feel all warm and fuzzy inside. With no Peter and no Kokoro, things might’ve been different and this second season might’ve surpassed the first in terms of yuri, but even with all those roadblocks thrown in, you still can’t deny that there’s quite a bit of subtext thrown in. I shouldn’t complain much about a subtext-heavy anime, so I guess I’ll be happy with what we got. 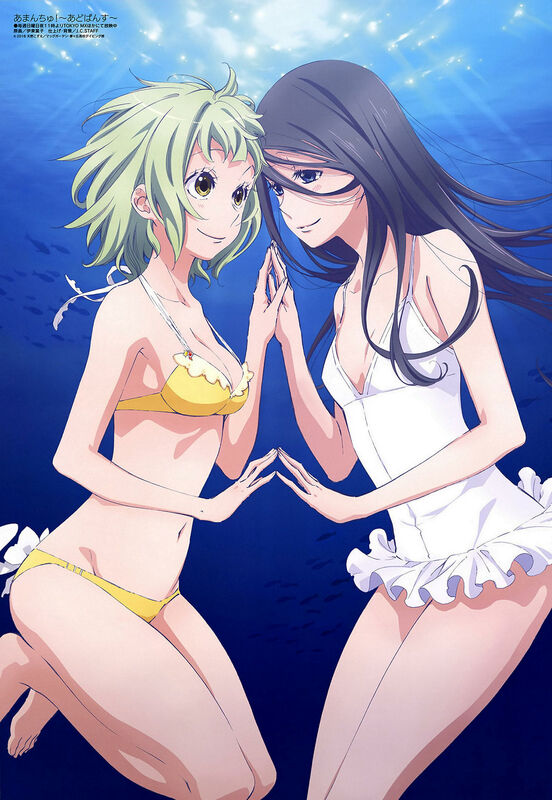 When it comes to animation, Amanchu! 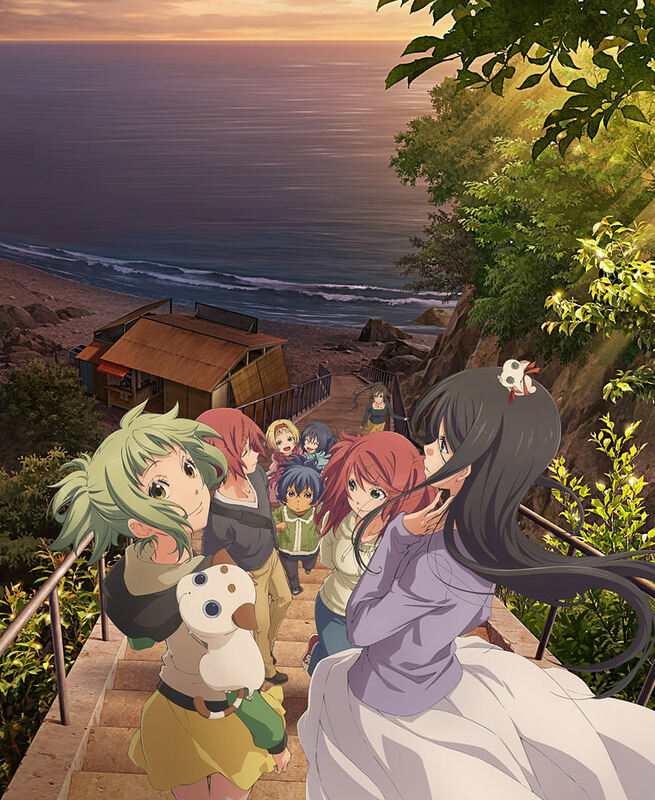 Advance picks up where the original left off and once again shows us the beauty below the sea, but the more adventurous moments were welcome sights that I didn’t expect to see in this anime. Pikari going on a broom-riding adventure through the skies and a Super Mario Bros. 3-style airship are things that I never thought I’d see in Amanchu!, but there they are. Of course, all of the goofy faces that made the first season a lot of fun are back, and compared to the slice of life shows that I normally end up reviewing, I like that this series has more realistic-looking character designs where teenagers look how teenagers are generally supposed to look. It’s sometimes cute when characters from other anime look like oversized grade-schoolers, but I think it ends up getting tiring to see. Moving on, one thing I loved about the first season was how important the acoustic guitar was to the music, and I’m glad to see that things haven’t changed at all in this second season. It’s still the musical star of the show, and the rest of the soundtrack is just as relaxing and pleasing to the ears. A lot of the time, the music in anime tends to generally sound the same, though, the music here stands out more and is more memorable than what you’ll probably find in other slice of life shows. Overall, I feel like Amanchu! Advance was a little lighter in some of the key areas that made the first season so good. 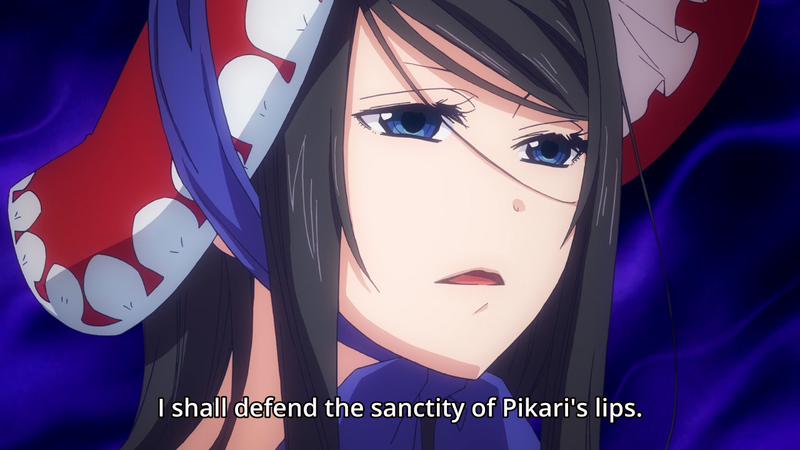 Most notably, the focus on Pikari x Teko isn’t quite as strong as before, but if you can get over that, this series continues to be one of the more pleasant and watchable anime this side of Yuru Camp△. 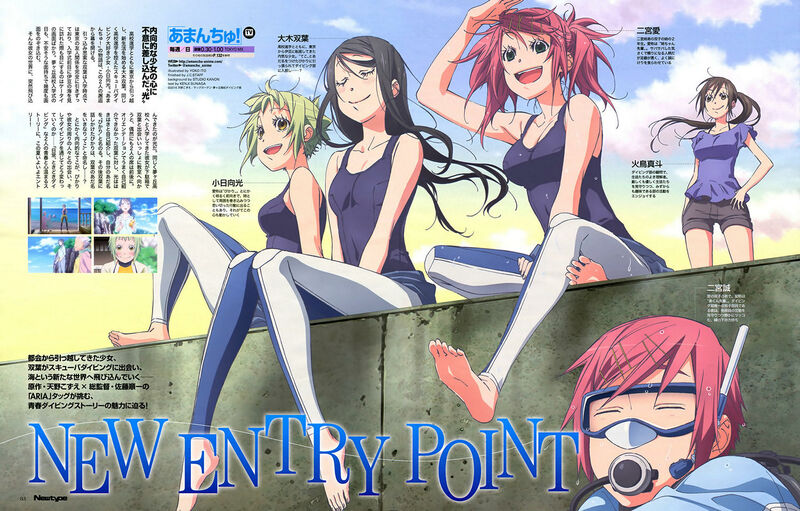 This entry was posted in Anime, Anime Review and tagged Amanchu! by Rock The Vogt. Bookmark the permalink. Yeah, I totally agree with your review. What should have been yet another wonderful season instead had 2 big detractions that kind of brought it down. The Peter Pan arc in the manga was spread out into two parts, so there it felt like a bit of side story once in awhile. You’re right, it should have been an OVA, there were plenty of other dive chapters that could have been featured instead. And then the Kokoro debacle. I remember reading and thinking even though there were clues, he still totally came across as a girl until that fateful conversation. You were much more generous than I was score-wise, as those two blemishes made me give it a six (well a six and a half). I know I have said this before, but it doesn’t hurt repeating: For those who haven’t watched yet, just skip episode 11. Many people are pissed about this especially yuri fans. Evidence? Just see the little amount of comments here. I enjoyed what happened during the first half but the Peter Pan arc and the existence of that trap is just gut wrenching. Seriously, it could’ve been such a great series if it wasn’t for two elements that ruined everything. There’s no denial that this is another one of the series that yuri fans should stayed the hell away from. 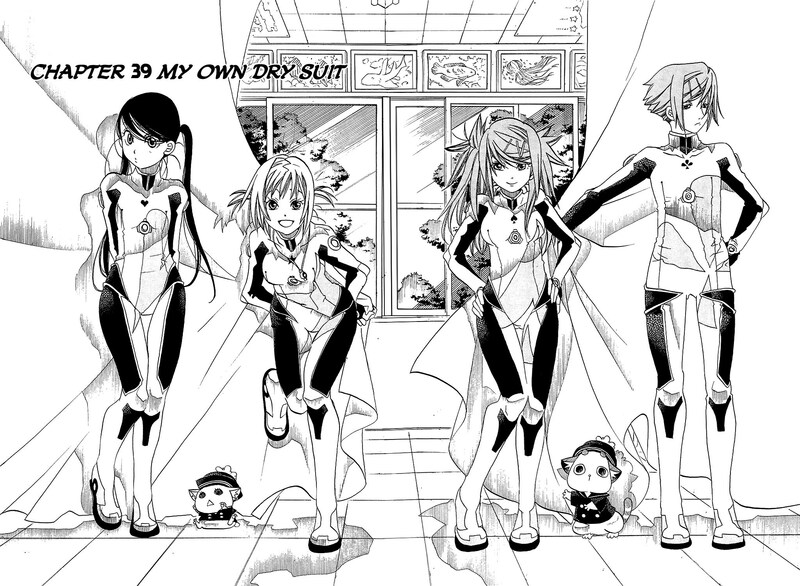 One of the things I wished they would have included was the new dry suits they all got. They are super cool to look at, and I really like how each of them features a different icon. 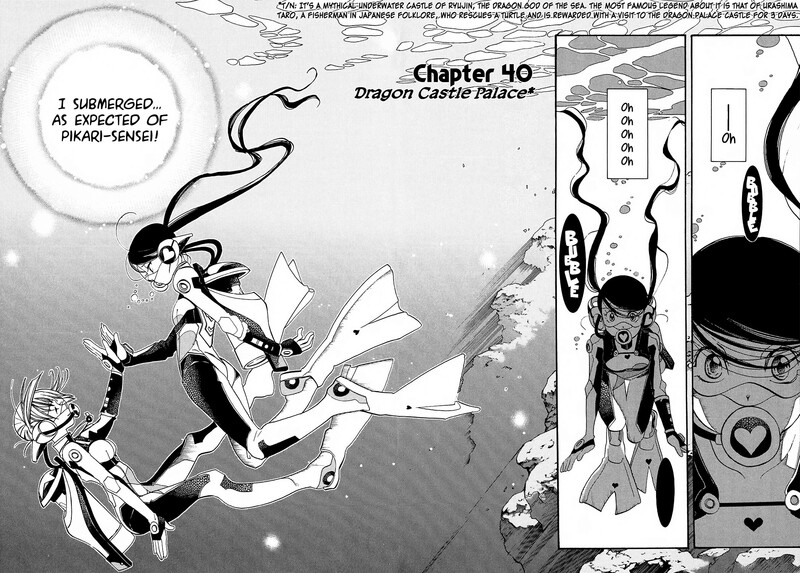 They totally missed the opportunity to have Pikari and Teko be the same suit (hearts, of course) and Ai and her brother could’ve been another suit (diamonds, since they’re both gingers).